Iceland is a small island with few inhabitants. But even in small places, we need a little bit of order, right? 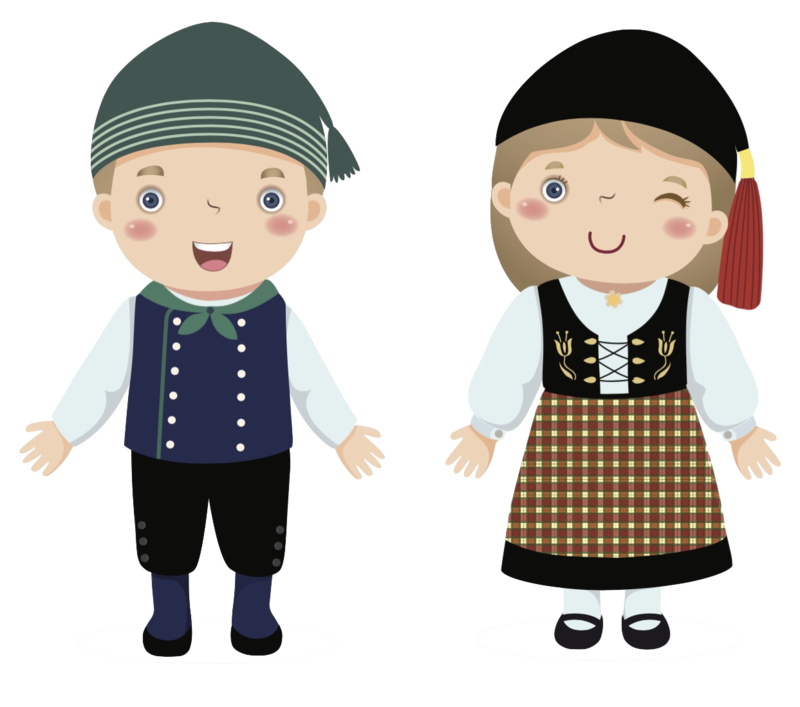 In this Nordic country, you’ll find that’s just the case. 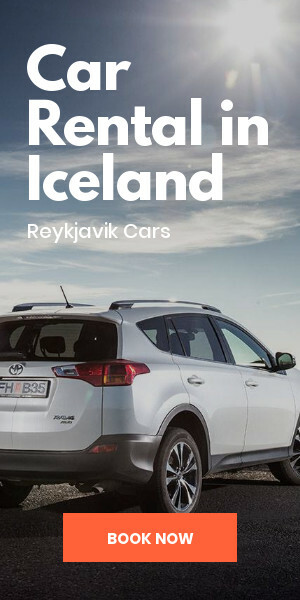 Whether planning a trip by car or campervan, you’ll want to know the different areas of the country when deciding the route for your trip to Iceland. 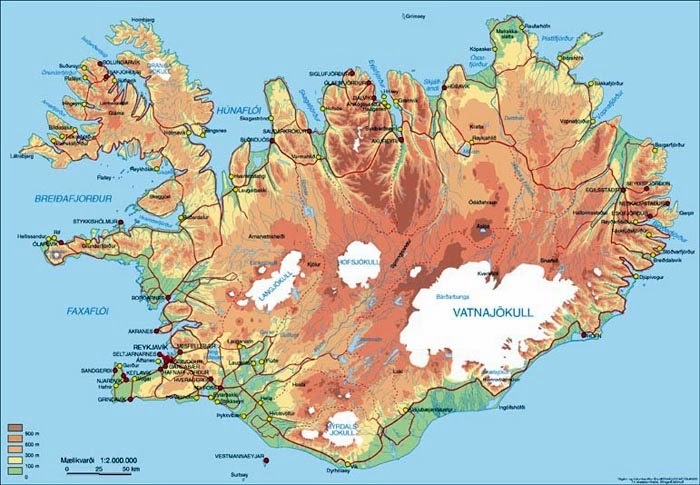 We want to fill you in on where Iceland’s attractions are located when looking at Iceland on the map. So without further ado, here are the country’s regions and what you can find in each place. This zone is also known as "The Capital Region" in Icelandic or the metropolitan area of Reykjavik. This is one of the largest urban areas of Iceland and is where around 60% of the Icelandic population resides. 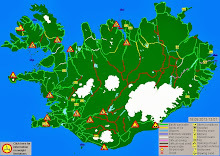 This area is formed by the Icelandic capital in addition to six municipalities nearby, including Kópavogur and Hafnarfjörður. In the Capital Region, many of the public services are shared by the different communities. That is, they have joint public cleaning and transportation services. In this region, you have a large concentration of some very important stops for travelers. Most of them are in Reykjavik: Hallgrímskirkja church, the Old Port, Tjörnin Lake, Laugavegur shopping street, and several others. This part of southern Iceland is officially known as Suðurnes. Like the capital district, it is a densely populated area with some 22,000 inhabitants. 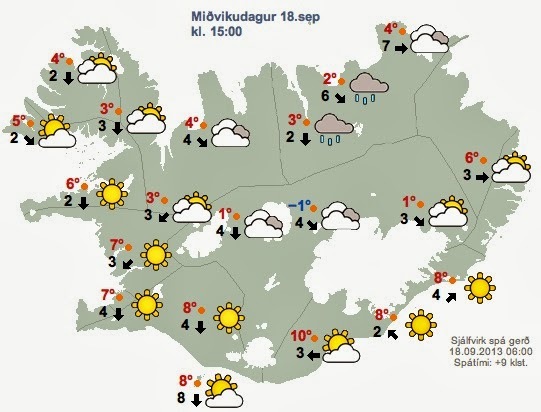 This is mainly due to its proximity to the capital, Reykjavik. You’ll be sure to stop by here at some point because this is where the international airport is located. 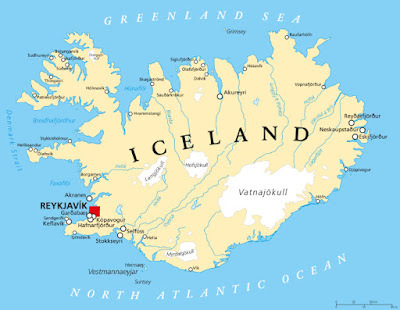 Many people think Iceland’s main international hub is in Reykjavik, but it’s actually based in the city of Keflavik. The famous Blue Lagoon is also located nearby in the lava field of Grindavik. The peninsula is an area rich in thermal water wells, so this is where one of the main geothermal power plants in Iceland is located. The Svartsengi geothermal plant is located about 45 kilometers from Reykjavik. While the city with the larger population is Akranes, the capital of this region is actually Borgarnes. This municipality is home to the entire administrative and bureaucratic system of the area. It is also a territory with places of great historical importance for Iceland and landscapes that will leave you speechless. Vesturland has a great variety of flora and fauna, so the scenery is anything but boring. The wide variety of terrain includes everything from lava fields and mossy black rocks to snowy mountains and glaciers. One of my favorite places in the region is the Snaefellsnes peninsula. 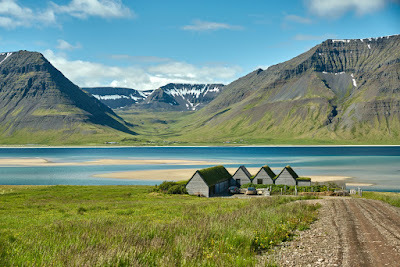 Here, you’ll find remote fishing villages, black pebble beaches and Snæfellsjökull National Park. The zone is home to the Snæfellsjökull volcano which is topped by a glacier bearing the same name. 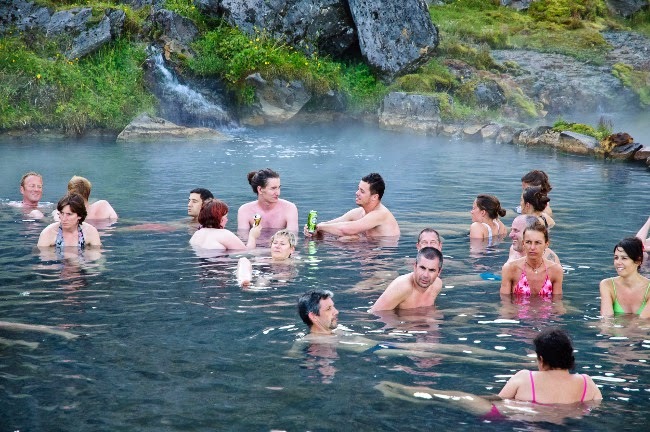 Many call it "Little Iceland" because you can find a small, concentrated sampling of everything the country offers. This peninsula is located in the northwestern part of the country, off the coast of Greenland. It’s a mountainous region and can sometimes be difficult to access. With only 7,300 inhabitants, it’s pretty sparsely populated. If you have enough time, there are some really great places to visit that you should definitely consider including in your Iceland itinerary. 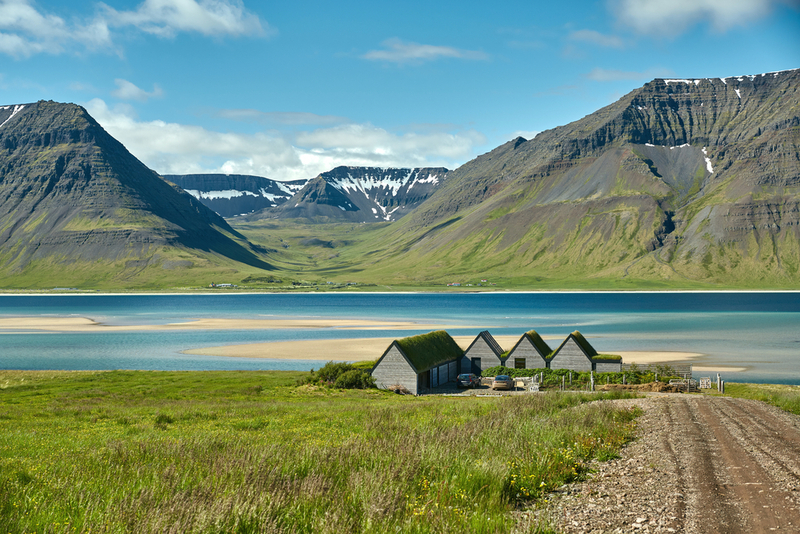 The capital is Ísafjörður which, as the name implies, is located smack dab in the middle of a fjord. There are stunning views throughout the peninsula and plenty of activities to keep you occupied. You can visit the Drangajökull glacier, the fifth largest in the country, or go bird watching on one of its many cliffs. I assure you, it's worth it. The capital of this Icelandic region is Sauðárkrókur, which is also nestled between the descending slopes of a fjord. It is the second largest city on the north coast of Iceland (after Akureyri). This municipality is of great importance for trade, especially in the fishing industry. The city has a long, storied history. Around the 9th century, Vikings lived here, and this place is mentioned in the Icelandic sagas. Typical activities in this region include hiking or visiting the volcanic island of Drang. The remote spot is home to the rocky remains of a 700,000-year-old volcano. This is probably one of the more varied parts of Iceland. The northern zone is a mix of natural beauty and the eternal struggle between the elements. It’s here that we can begin to understand why Iceland is called the Land of Fire and Ice. The contrast between landforms has something for everyone. 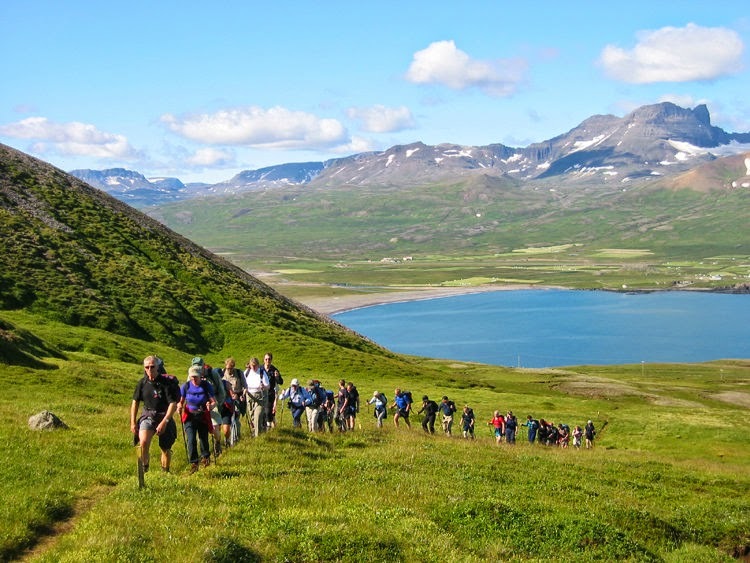 This region is quite well known because it's where the city of Akureyri is located. 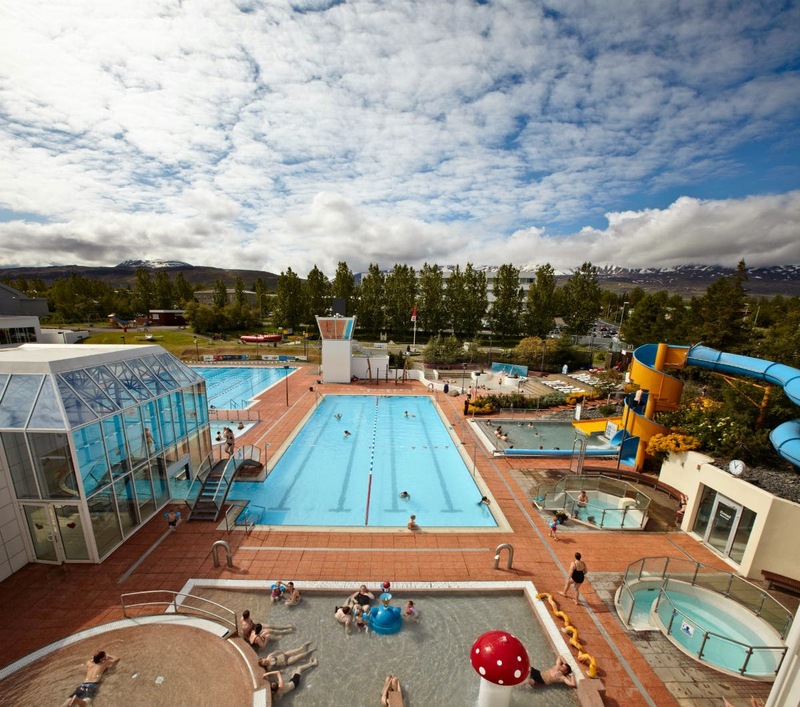 As Iceland’s second largest city, Akureyri is known as the capital of the North. With about 18,000 inhabitants, the city rests at the end of the Eyjafjörður fjord, which is the longest fjord in the country. After the southern region, the northeastern region is one of the areas most visited by travelers. 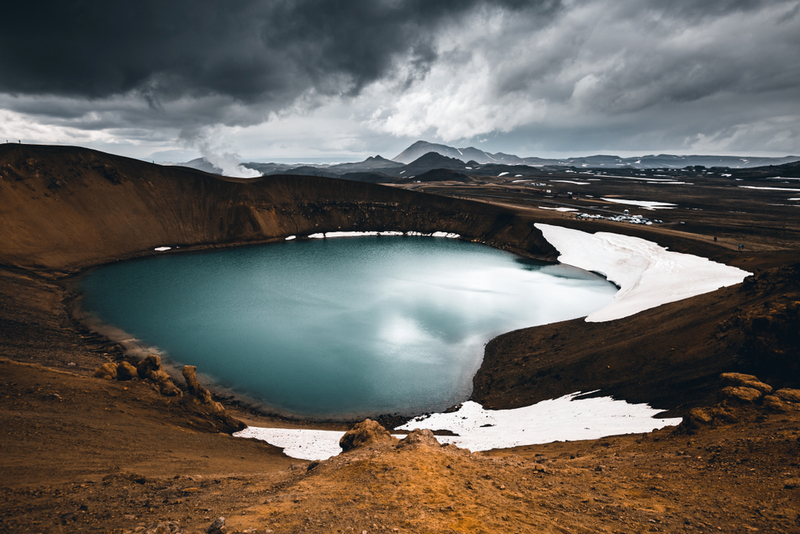 You’ll find some of Mother Nature’s treasures like the Askja caldera or Lake Mývatn here. 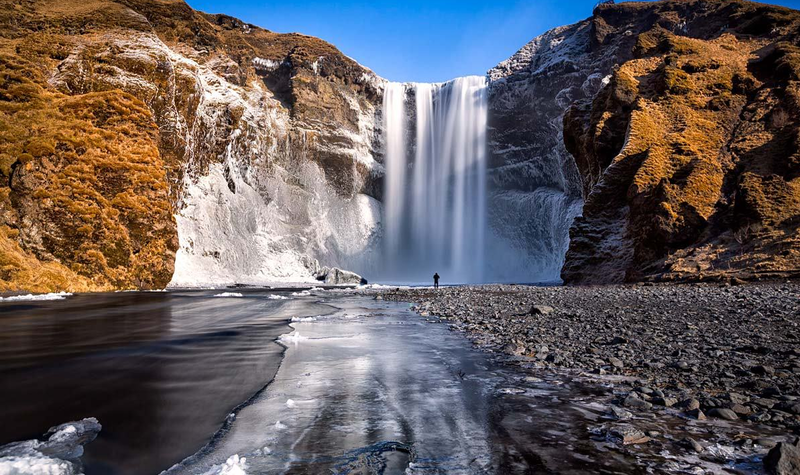 If you come to Iceland, these destinations are an essential part of your travel plans. You absolutely have to visit these two places. Fans of whale watching can use Húsavik as a jumping-off point for an excursion. Austurland is a large, wild and isolated area. It’s the home of the Skaftafellsjökull glacier and Eskifjorður fjord. If you want to experience the vastness of being in the middle of nowhere, this region has what you are looking for. It’s just you, the wild outdoors and nothing else. The most famous spots to visit in this area are Vatnajökull National Park with it enormous glacier and the Jökulsárlón glacier lagoon. This otherworldly wonder will likely be one of the highlights of your Iceland trip. Here you’ve got thousands of options at your fingertips such as hiking trails, outdoor activities and extreme sports. The region’s most populous city only has about 2,300 residents, so peace and quiet are virtually guaranteed. We could say that this is the best known (or at least the most visited) part of Iceland, and it’s no surprise why. This region is home to cities such as Vik with its famed black sand beaches as well as the iconic Selfoss and Seljalandsfoss waterfalls. It is also here where you can find the much sought after Golden Circle. 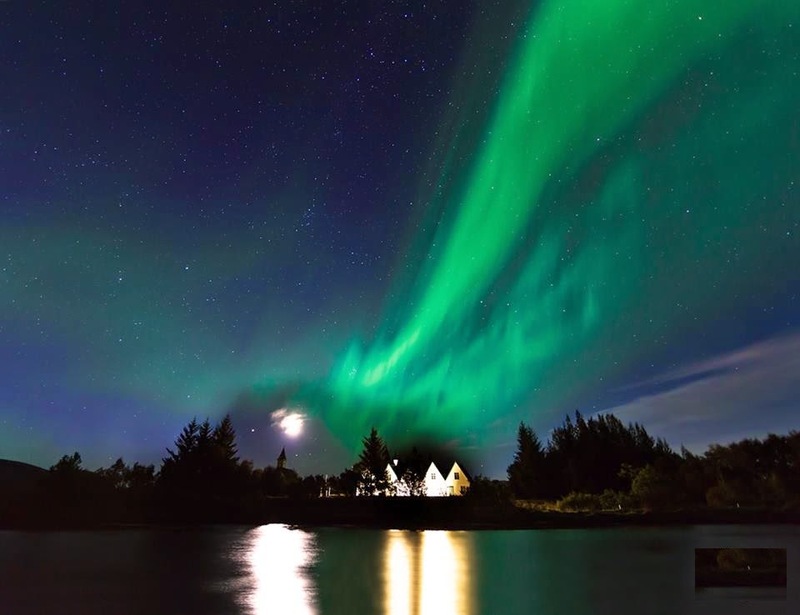 This traveler favorite is home to attractions such as Thingvellir National Park with the Silfra fissure, the geysers at Geysir and the powerful Dettifoss waterfall. If you are looking to combine the scenic beauty of Iceland with having many useful facilities available, then this is your region. Here you’ll find many different restaurants, hotels, tour operators, and much more. This may also be due to the fact that the climate of the region is relatively mild, so access to the areas mentioned is usually also easier.